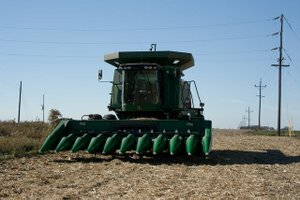 Corn Capital Innovations > Innovation Blog > General > How Did You Make Your 2012 Decisions? How Did You Make Your 2012 Decisions? The last 40 days have been a flurry of reaping the harvest. Now is the time to review the decisions you made along with finalizing your 2013 cropping plans. How did your yields respond this season on your ground and your growing environments? Did it match what you anticipated it to be at the beginning of the season? Sometimes we are all quick to react when the reality of the year did not meet our expectations or when final yields exceed our expectations? The questions you must ask yourself is am I making decisions on concreted evidence for the next growing season that coincide with your 3-5 year yield goals, or are you reacting in the face of emotion? The two must be separated to make beneficial decisions. We ride combines each fall to gain the knowledge on how each specific field fared throughout the year and what type of environment was provided in each field to obtain the results that will determine your profitability. As we have received a large array of performances, what we are seeing is that it still comes down to dividing total bushels by acres to come up with realistic yield information. By reviewing the results of specific field APHs you’ll be better able to gauge if the yields are coinciding with where you need to go to increase yield levels across the entire operation. Because we were faced with so many variables this year we found that it’s highly important to use good concrete yield data, versus 19th century production strategies of using weigh wagons to dictate your success. The weigh wagon’s inaccuracies were proven in a year with so much variability within each field as well as variability across field locations. It turns out that 2012 was not as bad as expected as some acres produced average and some above average yields just miles from each other. The weather events played an obvious role in the variability of the 2012 crop. Based off of timing of the rain, wind, etc. some yields came in below expectations. The key factor to look at was that the challenges didn’t stop with just one event. With 2012 behind us we need to be proactive for the upcoming year. Instead of looking back at what could have been, look at what we can control next year in the face of adversity. The year started out with the potential of above average yields and had Mother Nature cooperated, yields would have been even better. Remember, we can’t control Mother Nature; we can only minimize the extent of the variables that she throws at us. Now is the time to put together your cropping plan for 2013. We will work with you to lay out a step-by-step plan specifically for your operation. A solid plan will assist you for 2013 and beyond. Let us help walk you through the variables you can control! Contact us today at 320-523-2252.